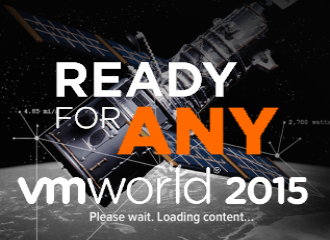 Since the announcement of VMware vSphere 5, the attention for the great new features has been swapped by the discussion on the new VMware vSphere 5 licensing model. Because of the processor association it looks complicated and expensive but if you do the math, most of the time pricing remains the same. Gabrie van Zanten wrote an excellent article on that. In short, with traditional virtual infrastructures used for server virtualization, the host servers seldom exceed the 96GB per host. This matches with a dual socket server licensed with VMware vSphere Enterprise Plus. In that scenario the number of vSphere 5 ‘processor’ licenses will equal the number of physical sockets, so the total cost for this environment will be equal with the new vSphere 5 licensing model. But how about the new licensing model with memory dense servers/blades like we use in VDI solutions. When housing 100-200 VDI desktops on a single server you need immense amounts of memory and with the new vSphere 5 licensing model this would cost much much more that with the old licensing model. A real life example: a Cisco UCS blade with two six core processors and 160GB memory, licensed with vSphere Enterprise Edition, hosting 100 Windows XP desktops with each 1,5GB of RAM. With the old licensing model this would cost us 2 x $2.875,- = $5.750,-. With the new licensing model I would need four vSphere Enterprise Edition licenses which would entitle me to use 192GB memory. This would cost me 4 x $2.875,- = $11.500,-. This is $5.750,- more. That’s why VMware uses a different licensing model for VMware View solutions. As with vSphere 4, you can buy VMware View license in a SKU based on the number of powered on virtual desktops. This is called vSphere Desktop which is the new edition of vSphere for deploying desktop virtualization. vSphere Desktop enables you to realize high virtual desktop consolidation ratios at a lower cost as it comes with unlimited vRAM entitlement. It provides the full range of features and functionality of the vSphere Enterprise Plus edition allowing you to achieve scalability, high availability and optimal performance for all of your desktop workloads. The vSphere Desktop edition is intended for customers who want to purchase only vSphere licenses to deploy desktop virtualization. vSphere Desktop is already included in the View Bundle. This offer gives customers the option to purchase vSphere Desktop as a standalone vSphere edition outside of the View Bundle. vSphere Desktop is licensed based on the total number of Powered On Desktop Virtual Machines. It is available in a pack size of 100 desktop VM at a license list price of $6500. vSphere Desktop can be used only for hosting a VDI environment. With the scenario mentioned above, I would need a 100 desktop SKU of $6.500,-. This is just $750,- more than with the processor based licensing but $5.000,- less than with the new vRAM based licensing. Good article Erik, there is however one flaw in your blog. vSphere still licenses per CPU where each CPU comes with a vRam entitlement per edition. So you might want to revise this part? In fact, it could even be less expensive. With the ‘old’ vSphere 4 licensing, you have to license all processors in your virtual infrastructure, even the ones meant for HA fail over capacity. 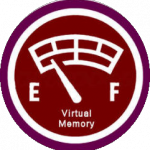 With the new vSphere 5 vRAM based licensing you could only license the active amount of active vRAM without the fail over capacity. This would save you at least two licenses when using a dual processor host. Are you sure? Please refer to this in the license sheet. I don’t know how you figured out that 100 1.5 GB systems would have a vRAM requirement of 192GB. In fact, it would be 1500GB requiring 47 licenses! vRAM is the sum of all of the allocated memory, not the sum of what they actually use at any one time. I need 150GB and because of hardware specs I get 160GB. Because Enterprise Plus comes in increments of 48GB I need 3,125 = 4 Enterprise Plus licenses. I do not need 192GB but 4 Enterprise Plus licenses entitles me to use 192 GB. Right… So what about we customers who utilize VMware for the hypervisor on our Citrix XenDesktop deployments? I can assure you that there are a metric ton of us out there that aren’t going to get the benefit of the special vSphere Desktop pricing model. Effectively, we have to throw out our existing deployment and move to the vastly inferior View product OR we have to shell out a ton of cash for the “traditional” vSphere model which penalizes organizations for utilizing a high memory-density model. Heaven forbid that organizations actually take advantage of the current low cost of RAM. The third solution, and most obvious, is that there’s going to be a mass exodus to XenServer or Hyper-V for users with non-View VDI solutions. What recommendation do you have for all the organizations out there who got duped into using vSphere4 + Software Assurance + 3rd party VDI that now can’t take advantage of the new features without breaking the bank? It seems to me that this vSphere Desktop product is anti-competitive and that they need to offer some sort of similar scheme for other VDI deployments… Better yet, maybe they should retract the vRAM model altogether or raise the density limitations to 48+gb/CPU/license. 24gb is entirely too low for Essentials and Standard. **Update-2** There’s no migration path. Existing non-View VDI Clients have to purchase the vSphere Desktop for non-VDI outright and in a minimum quantity of 100users. Existing Software Assurance customers also have no migration path… Their current licenses will convert to vSphere5 licenses as expected with the new vRAM limitations which are not acceptable for VDI use. What genius at VMware wants to explain that travesty? They just need to eat the cost of vSphere 5 Desktop for current Software Assurance customers who utilize the product for VDI. Good one Patrick, haven’t thought about that one. I will look into it deeper and take your concerns and will bring it under the attention of VMware, will keep you posted. BTW, Thanks to this change in licensing, I found an excellent alternative with Proxmox! It utilizes KVM with an intuitive interface. Thank you VMWare!